It has been a choppy 2018 for the Indian equity markets. Jyotivardhan Jaipuria, founder and managing director, Valentis Advisors, tells Puneet Wadhwa that an accelerating earnings cycle will drive a double-digit return for markets next year. Where do you see the Sensex and the Nifty a year from now? An accelerating earnings cycle will drive a double-digit return in the equity markets next year. While the Sensex and the Nifty are still in positive territory in 2018, the broader market has seen a steep correction. The probability of another negative year in 2019 is low. That said, there would be a fair amount of volatility and returns will not be linear with the first quarter possibly being a negative quarter. What could really lead to a negative return? While the elections in India would be the obvious event on everyone's mind, I think the bigger worry is the US Federal Reserve. If the US Fed tightens too much leading to recessionary conditions in the US, it could be a negative for the markets globally. Are the markets concerned about political stability? The co-relation between assembly elections and the Lok Sabha elections have been mixed. While the current assembly elections should reflect some extent voting patterns for the Lok Sabha elections, there are many instances where assembly poll results and the Lok Sabha poll results have seen a divergence as the issues before voters vary. However, the recent assembly elections have clearly highlighted two issues that are material for investors in the run-up to the Lok Sabha elections next year. First, the BJP (Bharatiya Janata Party) is losing some ground and hence is clearly unlikely to repeat its 2014 performance. Second, the markets need to monitor politics more closely over the next few months, especially in terms of the Opposition's ability to combine together. The 2019 elections is an open race and no longer a done deal for the BJP as was widely perceived 12 to 18 months ago. Your expectations from the Budget in February. The February Budget is an interim one and to that extent will see limited announcements. But I agree that a lot of focus will be on elections and hence we could expect to see measures aimed at appeasing farmers and the middle class. These could include income tax cuts at the lower slabs and measures to alleviate farmer stress, including loans at concessional rates and crop insurance. There could also be some mention of the Universal Basic Income. How will the Indian markets react to an additional fiscal burden, if any? We think there would be a slight increase in the fiscal deficit with the above measures, which while a minor irritant, will not derail the market. The market is used to all governments increasing their fiscal deficit in an election year and then reducing it in the first year of their tenure. What are your estimates for corporate earnings growth going ahead? Our core thesis is that earnings have bottomed out and we will see an acceleration over the next few years. That thesis has not changed. The oil price increase has more or less reversed. In the near-term, however, we have seen a pullback in demand on the back of the NBFC (non-banking financial company) crisis that will lead to a slightly weaker December quarter. That said, we still expect corporate earnings to grow at a compounded rate of 15% annually over the next couple of years. Your overweight and underweight sectors? Consumption remains the core theme for the next year and probably the year after that too. We think operating leverage will be the highest in the capital goods sector and infrastructure names. On the other hand, consumer staples are expensive and our underweight. Corporate banks will also be in focus next year as non-performing loan pressure eases. Domestic sectors, too, are going to do better than global economy plays. We have cut weight on global commodities. 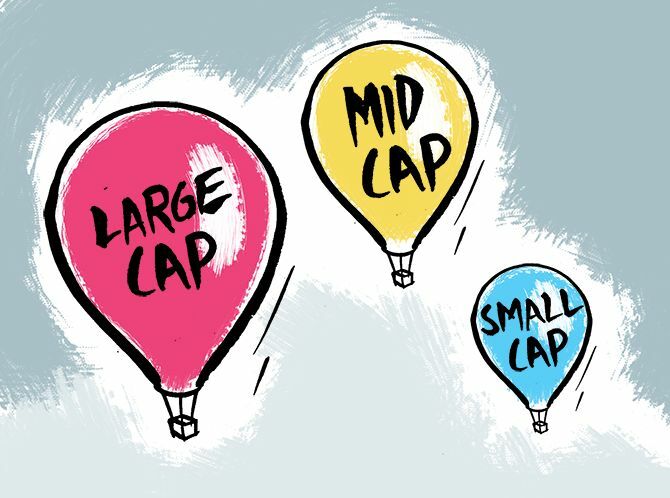 Small-caps and mid-caps will outperform large-caps in 2019, as the earnings cycle picks up and the Fed tightening cycle eases towards the middle of 2019. What about financials, especially after the change of guard at the RBI? The positive is that there was no contagion impact of the IL&FS fiasco. This ensured there was no threat to the financial system. We will see a gradual normalisation of the NBFC space, though it is likely that there could be additional capital adequacy and asset liability norms for the NBFCs. Near term, we will see NBFCs dramatically reducing their lending, hence growth over the next two quarters will slow. The gainers will be banks. From a stock point of view, we currently prefer banks to NBFCs. We are excited about corporate banks, which have underperformed significantly and where the NPL provisioning cycle is behind us. Who will be the big sectoral gainers in 2019?